latest interview: Interview: Troye Sivan on the "gay joy" of 'My My My! ', his new film role, and queer representation. 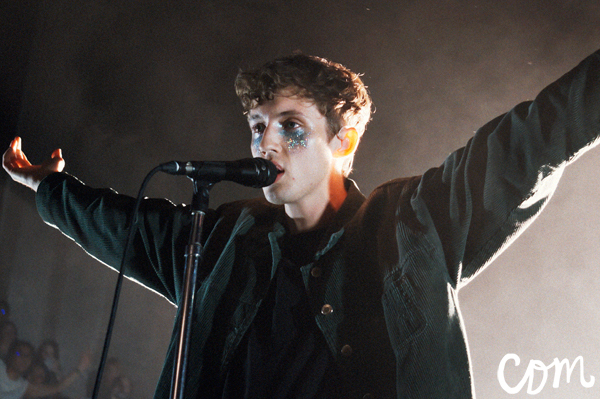 latest review: Review: Troye Sivan, Auckland Town Hall, July 2016. Music Lauv and Troye Sivan deliver stripped back ‘i’m so tired’. Music Lauv and Troye Sivan talk the making of 'I'm So Tired'. Music Lauv & Troye Sivan - ‘I’m So Tired’ music video. Music Listen: Lauv x Troye Sivan - ‘I’m So Tired’. Music Troye Sivan and Lauv tease collab…? Music Troye Sivan - 'Lucky Strike' music video. Music Watch: Charli XCX & Troye Sivan perform '1999' live on The Tonight Show. Music Troye Sivan feat. Ariana Grande - 'Dance To This' music video. Music Some Troye Sivan x 'Bloom' inspired fashion. Music Troye Sivan announces Singapore, NZ & Australia 'Bloom' album parties. Music Listen to Troye Sivan & Ariana Grande's 'Dance To This'. Music Troye Sivan - 'Bloom' music video. Music Watch: Troye Sivan perform ‘My My My!’ live on The Today Show. Music Watch: Taylor Swift + Troye Sivan perform 'My My My!' live together + announce ‘Bloom’ release date. Music Troye Sivan announces new album 'Bloom'. Music Listen: Troye Sivan's new song 'Bloom'. Music Troye Sivan on the cover of Attitude Magazine, June 2018.